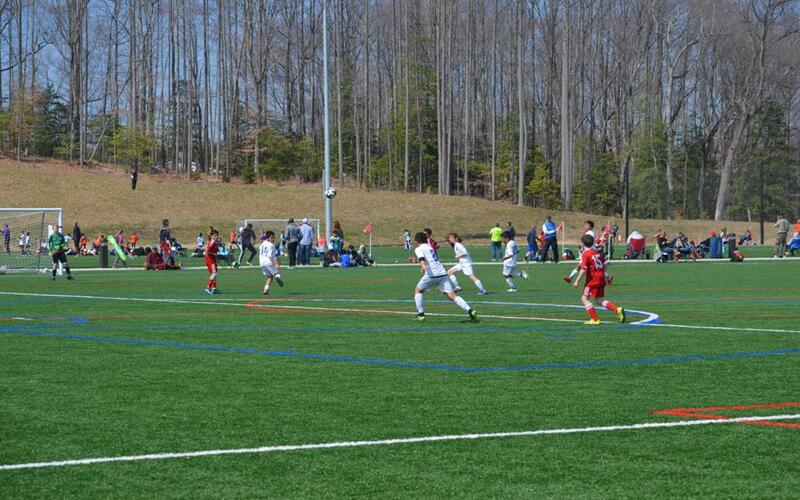 Take the next step and bring your future sporting event to Stafford, VA for spectacular attractions and state-of-the-art athletic facilities. 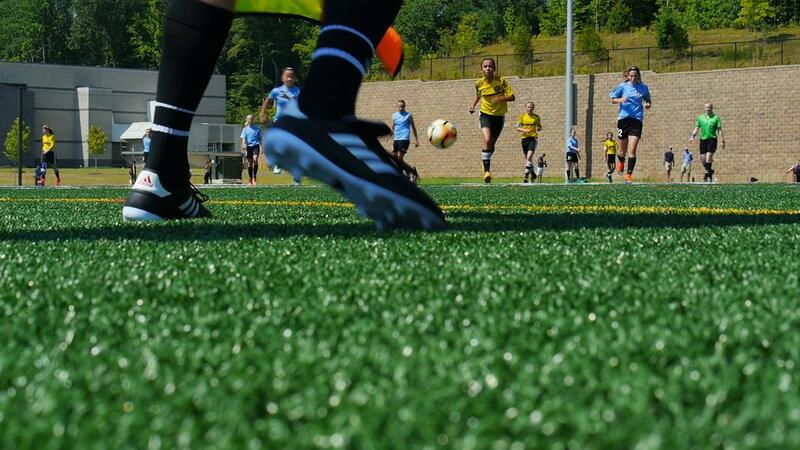 Embrey Mill Sports Complex can host a number of sporting events including soccer. All sports planners have at least one thing in common: they all understand the stress of organizing a sports event away from home. Sports planners have the difficult task of planning for where their athletes will play, sleep, dine and enjoy activities away from their nerve-wrecking games. Planners also have the tricky job of accommodating their players’ families, making sure that everyone can have the chance to enjoy the away-game and the city’s surrounding recreational alternatives. Luckily, Stafford, Virginia provides various athletic venues and entertainment options that will allow everyone on your sports trip to delight in a diverse arrangement of historic destinations, retail shopping, nature preserves and other leisure activities. Situated near the historic Washington D.C., Stafford presents several opportunities for visitors to soak up the sun at a variety of state parks, nature areas and historic farms. Go for a nature walk along the river, hike among luscious greenery and woodland or relax at a world-class forest preserve. If you’re not too fond of the outdoors, Stafford has countless museums, restaurants, hotel and lodging accommodations and other places of interest to relax and unwind from a grueling tournament. Most importantly, Stafford is equipped with a slew of sports facilities for your next exciting game day. Situated in the heart of Stafford, the stately Embrey Mill Sports Complex is conveniently near the city’s major thoroughfares, shopping centers, restaurants and hotels, making it the ideal stop for teams and their families. The impressive multi-sports complex contains six fields – four synthetic, lighted rectangular fields and two lighted grass fields – suitable for youth soccer, lacrosse and field hockey games. Adjacent to the sports complex is the Jeff Rouse Swim and Sports Complex, which houses swimming pools and an athletic center with facilities for basketball, volleyball and other indoor sports. For those frisky, young spectators who can’t keep still, the complex is also composed of a playground, snack bar and concessions. Restrooms and parking lots are also on the premises. This 76,000 square-foot world-class sports complex is equipped with a 50-meter by 25-yard competition pool with seating for more than 800 spectators and movable bulkhead, a 25-yard recreation pool and a warm-water wellness pool. Additionally, the Rouse Center features a full-size basketball court, a group exercise studio, a fitness floor, restrooms, a full-service cafe and parking. The athletic facility presents 5,000 square feet of exercise space and workout equipment, strength and conditioning machines and free weights. It also provides resources for group exercise classes, cycling, swimming lessons, lifeguarding and league play for adults in volleyball and basketball. There are several summer camps, clinics and classes for young children, such as Lil’ Kickers for soccer for children ages 18 months to nine years old. 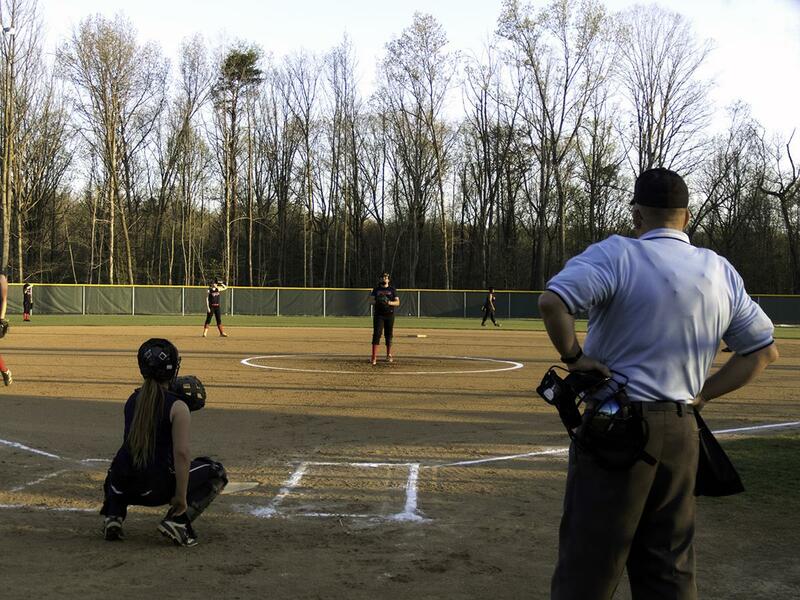 Bring your upcoming outdoor sporting event to the spacious Chichester Park, a city park that offers five lighted baseball/softball diamonds and a concession stand. The vast park also features walking tracks, hiking and jogging trails with a natural mulch surface, a pavilion, restrooms, picnic areas with BBQ grills and tables and a new playground. Chichester Park promises protected spectator seating to enhance the fans’ experiences while watching nail-biting tournaments. The venue is conveniently near major transportation thoroughfares, making traversing to and from the park and other locations throughout Stafford stress-free. The expansive John Lee Pratt Memorial Park is praised for its many accommodating facilities, including basketball courts, tennis courts, ten soccer fields, a baseball/softball field and a frisbee disc golf course. This top-quality park is perfect for competitive and leisure use, and highlights a horseshoe pit, a one-mile gravel track, a one-mile walking/biking trail, nature trails, picnic pavilions with tables and grills, restrooms, parking and a Celebration Stage. Several rectangular fields and playground areas also make the park ideal for field hockey and lacrosse games. For those younger fans who can’t keep still, they’ll have the chance to burn off some energy on the recreational playgrounds. This impressive park spans 17 acres and spotlights three lit diamond fields with irrigation and two synthetic turf rectangular athletic fields with lights, all optimal for various sports. While the park is ideal for sporting competitions, it can also be put to recreational use, as it contains two picnic pavilions, a playground, paved nature trails, the spectacular Woodstream Trail to Smith Lake Park, restrooms and onsite parking. This full-service park also doubles as a campsite with fishing piers, a boat launch on the lake and a swimming pool. Whether you’re here for your team’s next game or team bonding camping, Smith Lake Park will be sure to assuage all your sports and leisure worries. 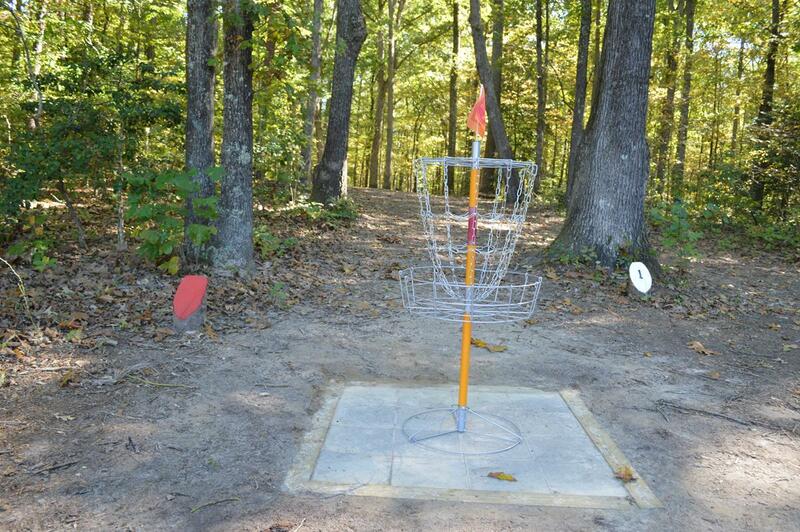 Curtis Memorial Park stretches roughly 3.4 miles to incorporate one multi-purpose field, a sand volleyball court, tennis courts and a disk golf course, as it is home to the Gauntlet Golf Club. The park is also composed of recreational facilities and resources, including an outdoor swimming pool, pool concessions, lake access, horseshoe pits, a skateboard park, walking and jogging trails, a playground, multiple pavilions and picnic tables and restrooms. With an abundance of room to host long days of tournaments or to utilize for a celebratory picnic, athletes and spectators will both take pleasure in passing the time away at Curtis Memorial Park. Stafford promises a number of historical attractions to experience, and activities to participate in that range from sightseeing to hiking to kayaking. Begin your stay in Stafford on a high note by visiting George Washington’s boyhood home at Ferry Farm. When George Washington was 6 years old in 1738, he and his family moved to this farm on the Rappahannock River. Now, the Ferry Farm Visitor Center spotlights artifacts from colonial and Civil War times, and offers gorgeous gardens to wander through and revel in history. History buffs on your sports team would adore visiting the Stafford Civil Park, the site of 1863 winter fortifications of the Union Army’s 11th Corps following the December 1862 Battle of Fredericksburg. For athletes and families who love the outdoors, relish in the fresh air and kayak the Rappahannock River, Crow’s Nest, Lake Mooney or Aquia Landing. Nature-lovers will also have fun hiking Government Island or Crow’s Nest Natural Area Preserve. Finally, wrap up your incredible night with dinner and entertainment at Riverside Center for the Performing Arts. 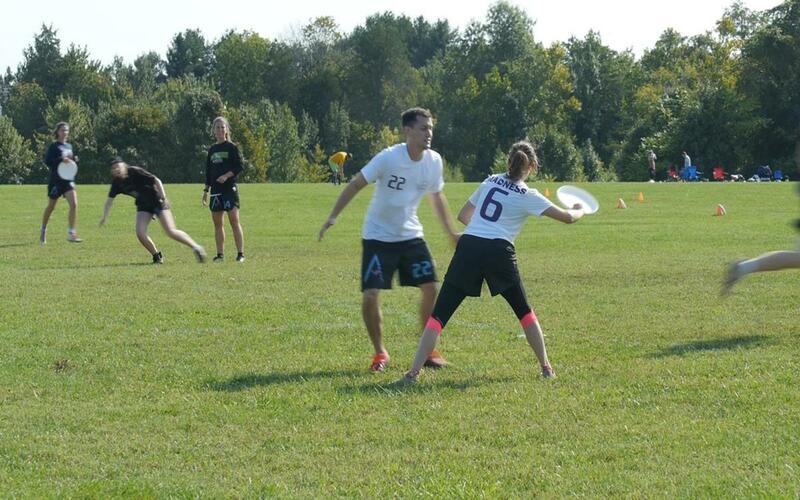 After spreading our event over three counties for a number of years, the addition of the Embrey Mill fields complex made Stafford the perfect location for our annual St. Paddy’s Day Tournament. Now, Stafford has the hotels, the restaurants, the shopping, AND the perfect fields for our event that serves over 200 teams each year. The opportunities that the Jeff Rouse Swim and Sport Center have given to the local swim community and the Commonwealth of Virginia have been phenomenal. We can use this state-of-the-art facility to provide a top-level swim meet experience to teams from all over the state. Having the ability to host the Short Course and Long Course Senior Championship Meets this year in a more central location for the teams has proved advantageous to the swimmers and their families. Stafford County, local hotels, restaurants, and businesses have made the swimmers feel right at home. By Car: Traveling to Stafford and its splendid athletic facilities, historic sites, shopping malls and other entertainment venues can be worry-free if you know the quickest ways to get there. Stafford is located on Interstate 95, 25 miles south of the Washington, D.C. beltway and 55 miles north of Virginia’s capital, Richmond. Other major destinations near Stafford include Fredericksburg, Manassas and Mount Vernon, all located in Virginia. By Air: Stafford is accessible by Richmond International Airport (RIC), Washington Dulles International Airport (IAD), and Ronald Reagan Washington National Airport (DCA), and services the following domestic airlines: Allegiant, American Airlines, Delta Air Lines, JetBlue Airways, Southwest Airlines, Spirit Airlines and United Airlines.